In case you are wondering if the Totoro Forest Project Benefit Auction at PIXAR was an evening to remember, let me tell you… it was!!!! Both my wife and I had the opportunity to attend the event and it was a great opportunity to view in person all the wonderful art that was donated. I spend a lot of time looking at the 200+ pieces of art that I didn’t have much time to socialize or meet artists that I admire and may have been present there. 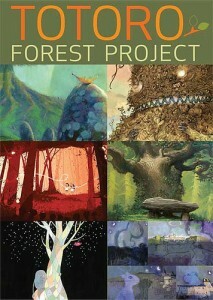 Wow, what an amazing experience, as I have mentioned to some people my wife and I are recent Studio Ghibli admirers. I came across the name Hayao Miyazaki while researching / reading artists blogs. Many many artist talk about him being an influence (the donated art is proof of that). 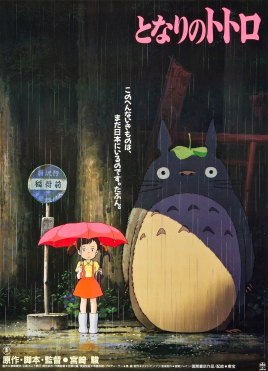 The first movie I rented via Netflix was My Neighbor Totoro. It was such a great innocent story, with a very positive message… I couldn’t help to love the background images as well as the various characters of the film, then I came across this book Master of Japanese Animation which contains quite a lot of information about Hayao Miyazaki. It was then that I realized that Hayao Miyazaki also worked on the cartoon I used to watch when I was a kid (mentioned in a previous post) Heidi girl from the alps. Does this happen to you? you saw cartoons when you were a kid and now after many years you bump into the movie / clips on a rental store or online and then you decide to watch the whole story again, because you dont remember it or you missed the beginning or never knew how the story ended? lol. I am in that situation, I dont fully remember the story of Heidi, nor how it began or ended, just got to see a couple of minutes of the beginning a week or so ago. Another Japanese program I used to watch was Ultraman, which I did have the opportunity to rent via Netflix about a year ago, got the opportunity to watch Ultraman fight Godzilla once more 🙂 yeah back then those were cool spaceships, now they look so silly. Anyways, getting back on topic, it was an evening / night to remember, absolutely loved the art.. wish I had had more time to talk to the artists about their pieces (will have to do it online). Live auction was great, a lot of money was raised that night (close to $200 K so I hear). Oh, by the way.. the date for the 20th SketchCrawl event has been selected, it will be on October 25th.